Well, This is the OnePlus 2. 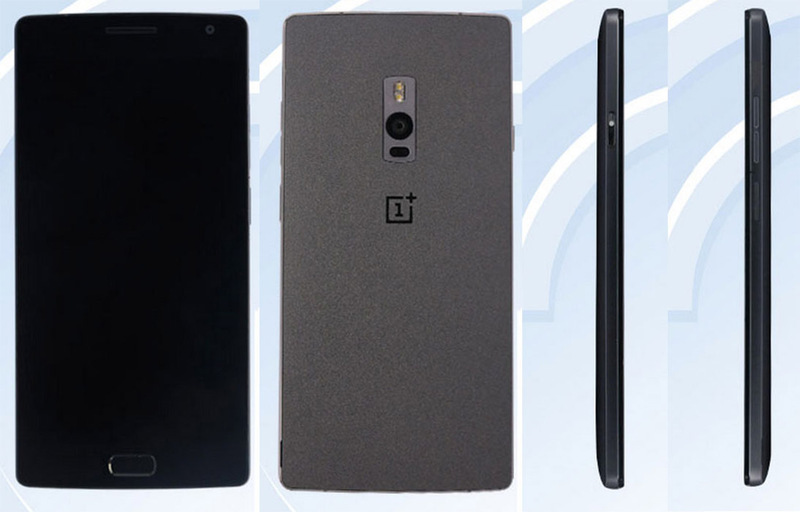 Thanks to Chinese wireless regulator Tenaa, you are looking at what should be the OnePlus 2. Yep, that’s it, the brand new “flagship killer” phone from OnePlus leaked or outed in full before the company had a chance to do the honors. What do you think? Wait…is that…Sandstone Black? Lord, help us! My prayers have been answered. I love me some Sandstone Black. This is going to sound like words spoken from a crazy person, but seriously, Sandstone Black everything. This, along with the Horween leather on the Moto X, is the best damn texture you can have on a phone. Give me more Sandstone Black. Give it to me. OK, with that out of the way, let’s talk about what else we are seeing. As for the rest, we have a phone with a similar overall look to last year’s OnePlus One. The back looks a lot like the One, but we are seeing a camera housing that contains an extra sensor. Is that some sort of laser autofocus, similar to what we have in the LG G4? Could be. Finally, on the sides, we have a matte black finish with volume and power buttons, along with what I’m assuming is a SIM tray. Or is it a SIM tray? That almost looks like a fourth button. Did OnePlus give us a dedicated camera button this time around? Outside of that home button (which I can certainly learn to love – right, Samsung? ), I’m liking the look. It’s clean, simple, and is said to be smaller and more compact that the original OnePlus One. Sign me up.